Tudor View has its own fenced-off garden, secure for animals and children, with a fully private outside sitting area. Guests can use the heated indoor swimming pool, tennis court and wander round the extensive garden and park. I am Kildare, cousin of the owner Eva Morris, and I look after all the bookings for her. I am a writer and gardener, and particularly interested in the history of Sussex and its landscapes, its painters and its gardens. Like for most people I find there are few greater pleasures in life than walking along the nearby South Downs with the sea cliffs on the one side and the ancient sheep pastures on the other. There is a huge sense of history at Pekes, an ancient Wealden hall house built in the 1470s with quite a few of its old features left in place. Eva's grandfather bought it in 1908, and little has changed since his day except facilities, comfort and warmth has been added. 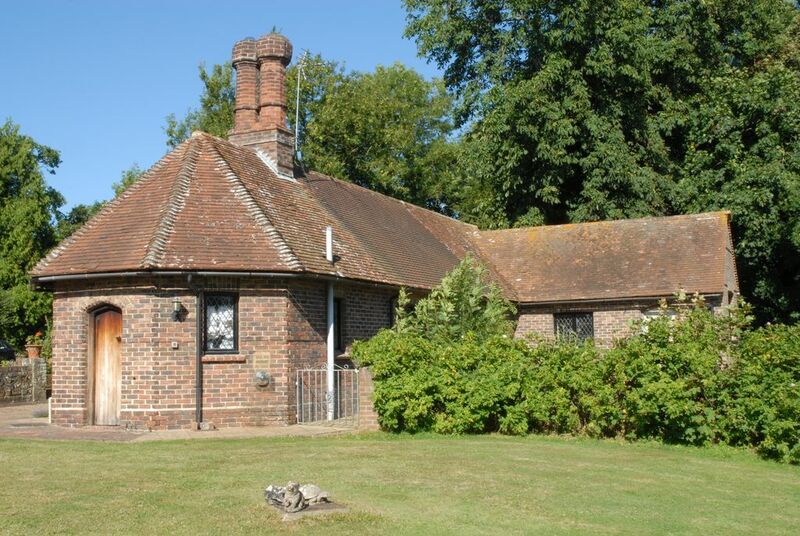 Gate Cottage is cosy, private and snug, with views over the parkland. Pekes has elegant gardens, parkland, lovely trees and wonderful views over the landscape. Timelessness, peace, gardens, country walks, the sniff of the sea, loads of nearby activities and attractions. All duvets, linens, towels, dishcloths etc are provided, sparkling clean. Living/TV Room with sofa-bed and chairs for 6 people. Open log fire. We had a 2 night stay over new year and were made so welcome. Tudor View was warm and comfortable with amazing views. The linen and towels were spotlessly clean and fresh and the whole place is so very well cared for. We loved the rural setting with amazing views, brilliant stars at night, the open log fire and the warm swimming pool available even late at night. So pleased that Rob and his party enjoyed their after-Christmas stay, preparing for New Year! Tudor View was very comfortable and practical for a stay with a young child having no stairs and an enclosed garden. The play area and swimming pool were also excellent. On a personal note I loved the grounds and setting, it was wonderfully tranquil with no road noise. There was plenty to do nearby making it a good base for sightseeing. Tudor View is a lovely little cottage on the Pekes Manor Estate. We stayed for 3 nights, two adults and four children, and loved it. The location is excellent for exploring both the coast and inland East Sussex; we had easy days out to Eastbourne, Bodiam Castle and Batemans. The cottage is surprisingly spacious and very comfortable. Use of the lovely swimming pool, surrounded by hothouse plants was a bonus, plus freedom to roam around the beautifully laid out grounds. Feeding the chickens was fun too! Highly recommend for a fun family break; we'll be back! Pekes is on the edge of the stunning South Downs National park, with its wonderful hills and cliffs, beaches, river valleys and many other attractions, and within the fascinating & little changed Wealden medieval landscape. Nearby are the famous Drusilla's children's zoo and Knockhatch adventure Park; also woods, coast towns and villages and great country houses. Also the world-famous Glyndebourne Opera, and the Bloomsbury Group's Charleston farmhouse.